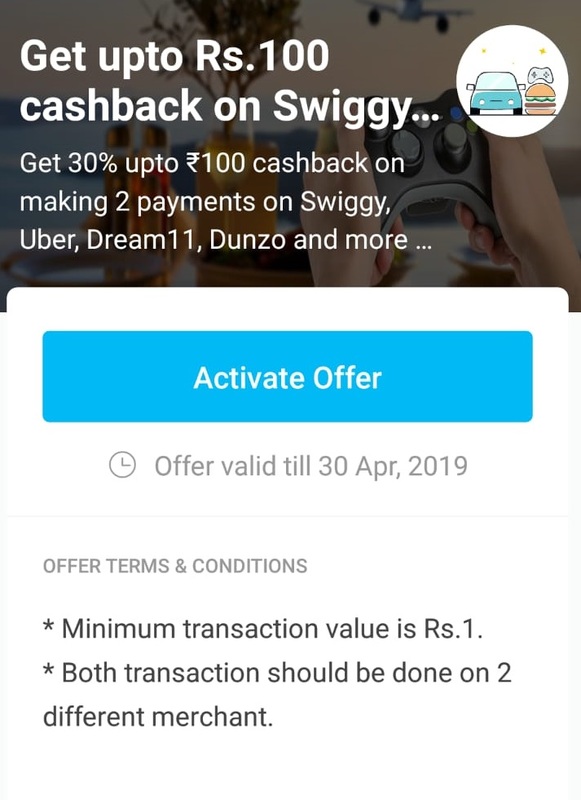 Pay on Swiggy, Uber or Dream11 and get 30% upto 100 after making 2 payments. Each payment has to be to a different app.. Valid Once a month Until April 30th.. It should, But I have only used Uber with it.. Is it considered separate apps now? I have only used it long time ago and I payed for eats from Uber account without using a separate app. 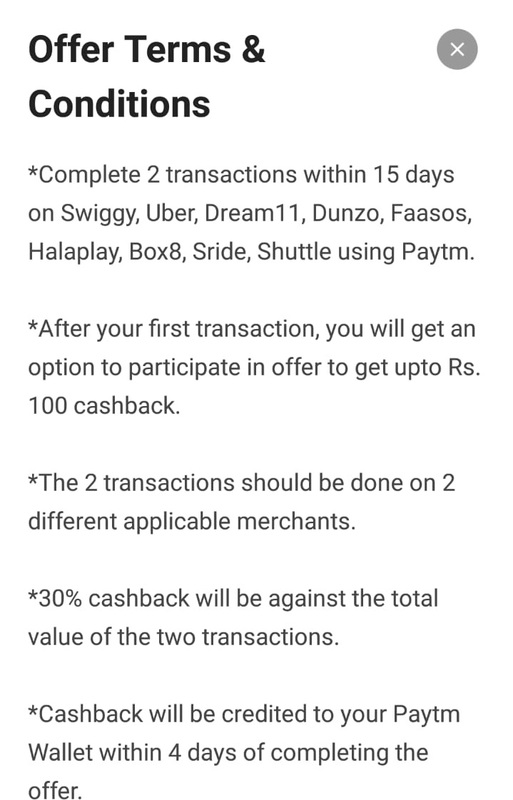 If offer isn’t expired already.. you should use once on any other app (except uber), for 30%cb upto100 on combined value. 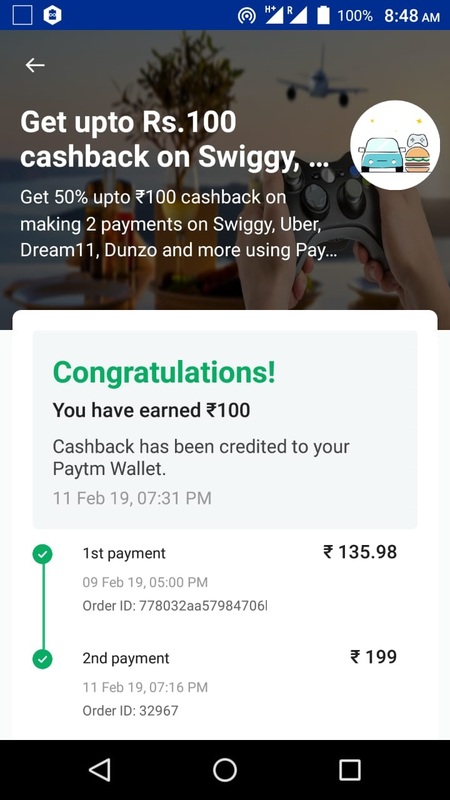 & yes, now uber & uber eats are different.. atleast for payment, as transaction were marked with different description & logo on passbook… (I haven’t tried, saw different payment description for a friend). NOT THIS OFFER… I am not sure paytm has any offers for myteam currently..
You need to go read how to post a deal..
And to some people anything that even remotely sounds similar is the same. 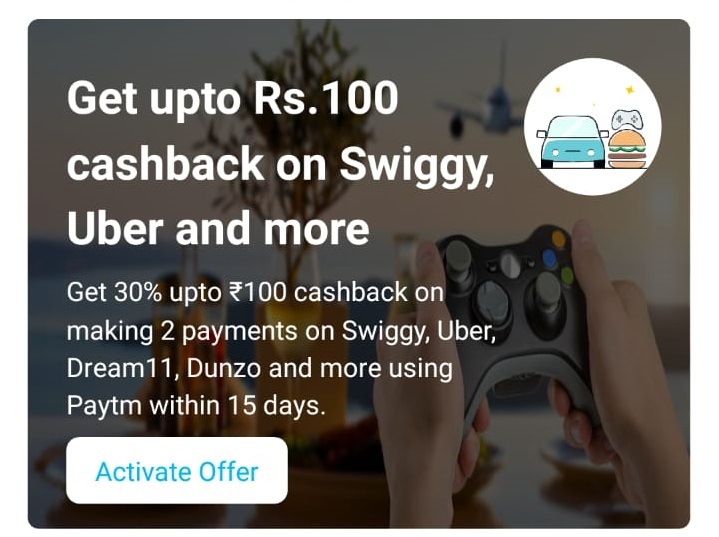 Even though what you posted was 50% off upto rs100 which expired in Feb and this offer which is 30% upto rs100 that started in end of march and expiring in april. Some real pricks here hiding behind anonymity marking reposts and coupons etc..